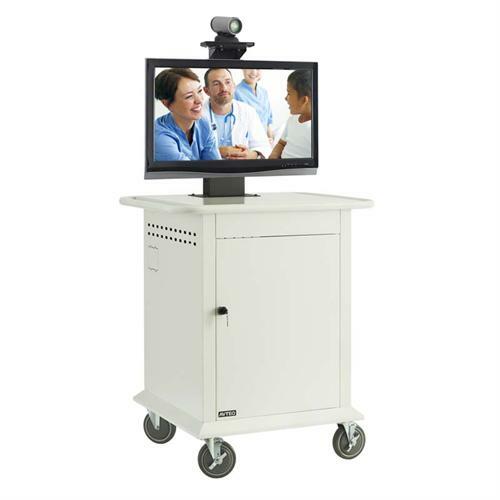 More on the AVTEQ 16RU Telemedicine Mobile Medical Cart for 25-42 inch Single or Dual Screens TMP-600 below. 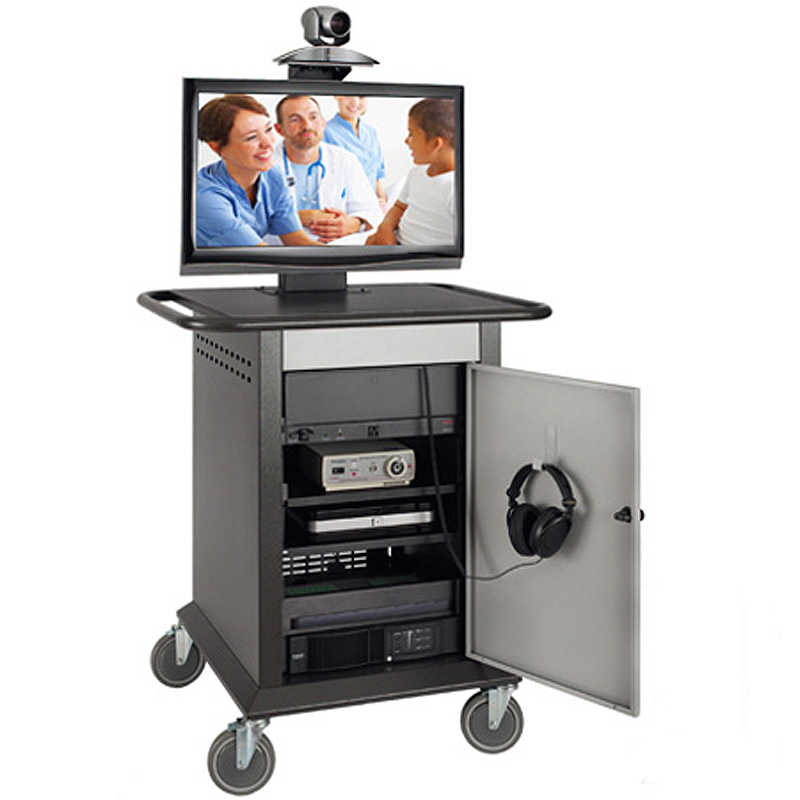 Ample space for one flat panel display up to 42" or two flat panel displays up to 32" each. Adjustable-depth 19" front and rear rack mount brackets. Two adjustable, perforated shelves for easy airflow to heat-generating electronics. Four 6" institutional-grade casters (2 with brakes) for easy mobility on hard or carpeted flooring. Integrated, height-adjustable video-conferencing camera platform. A universal screen mounting system, designed to accommodate almost any modern flat screen monitor. Bolt-on rear access panels for easy access to stored components. One 6-port, rack-mounted APC® surge protector / power strip. One locking front door with "push-to-close" magnetic latch. An adjustable interior headphone hook, mounted on the door. Perforated rear and side panels and for ample airflow. 100% solid steel construction with a black, baked, powdercoat finish. 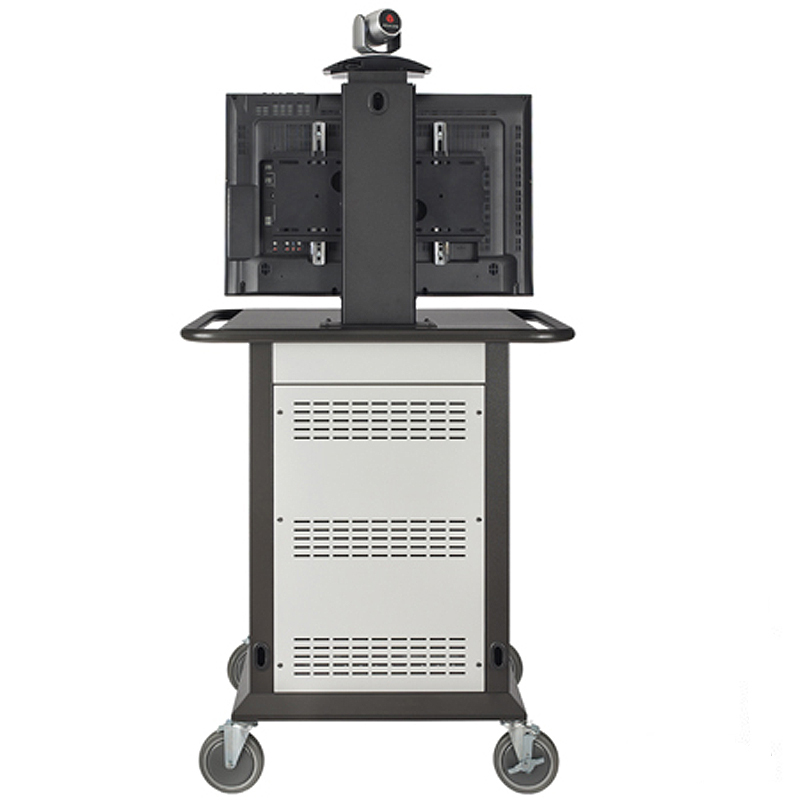 The TT-1 mount accessory for a SINGLE flat panel displays up to 42". 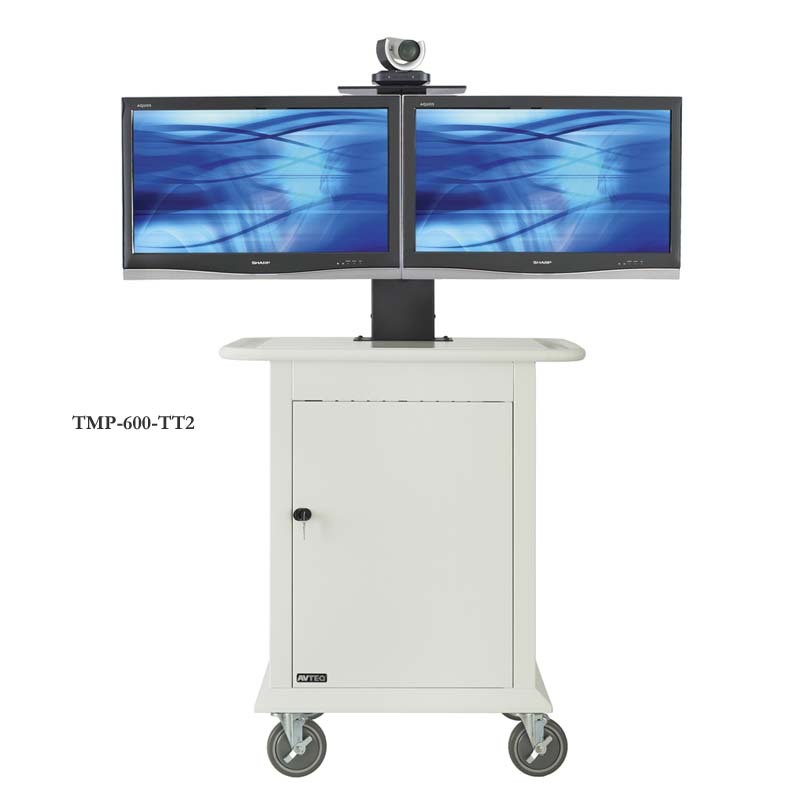 The TT-2 mount accessory for DUAL flat panel displays up to 32" each. PLEASE NOTE: Please enter the make and model number of your flat panel screens in the "Customer Notes" section of the check-out process. If you do not have this specific information, please enter any available information (i.e. the manufacturer and screen size) or cal lour Sales Team for help. This will ensure that you receive appropriate installation hardware for your flat panel screens.